TMZ just released video footage taken by first responders the night of Tekashi 6ix9ine’s video shooting with Kanye West. Although the clip is by definition “a video,” the most revelatory piece of information takes place away from the camera – as a noticeably scared Tekashi 6ix9ine is heard in the background “sweating it out,” while cops suss out the situation. 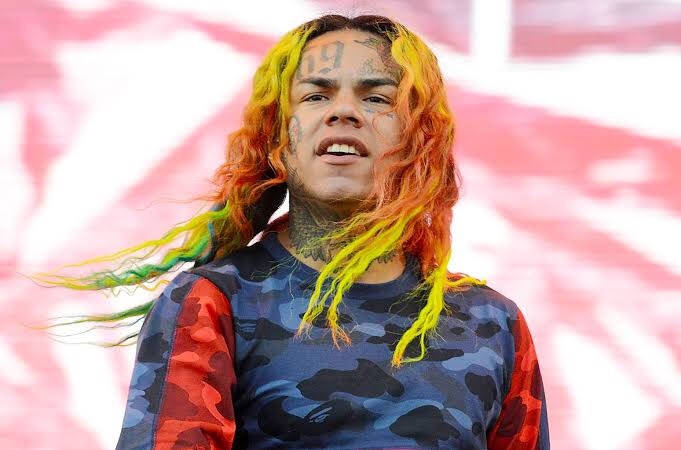 Before it comes to that, we hear cops sharing their findings with Tekashi 6ix9ine and his handler: a 9mm handgun and a rifle abandoned in the alleyway precisely where the stray bullets rang off. As you might recall, just two weeks prior to the “video shooting incident,” Tekashi caught a break in his sexual misconduct case when the judge sentenced him to 4 years probation in lieu of a lengthy prison bid – but on one condition: he avoid all “gang-related activities” as ambiguous as that may seem.